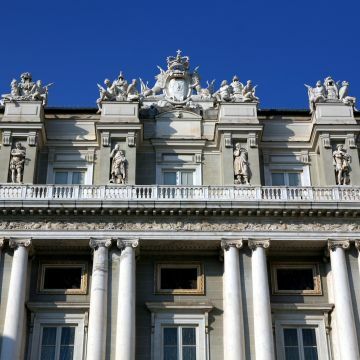 Palazzo Ducale is one f the historic symbols of the city of Genoa: since 1339 it became the residence of the Doge and today it is the main cultural centre of the city. 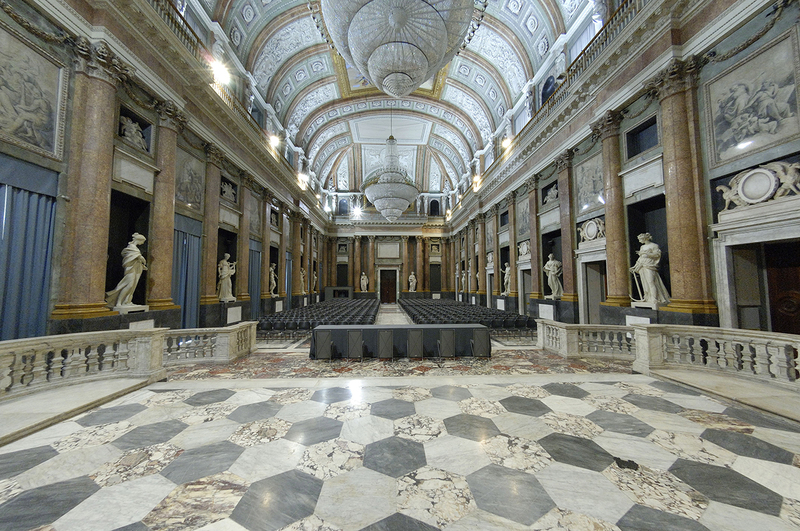 All year long Palazzo Ducale offers exhibitions, conferences, meetings, festivals, shows and educational activities. 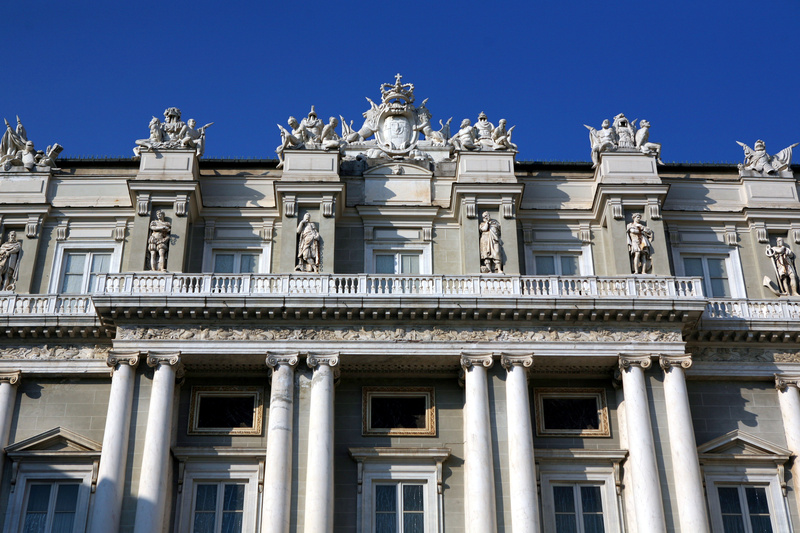 The palace was built in 1298, during a fortunate period for the Republic of Genoa, after the victory in the Battle of Meloria against the Pisa and the victory in the Battle of Curzola fought against Venezia. 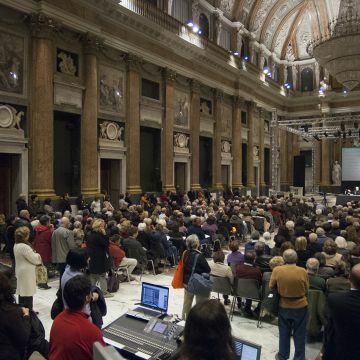 Genoa established itself as an economic leader in the Mediterranean Sea, overruling the other so called repubbliche marinare. 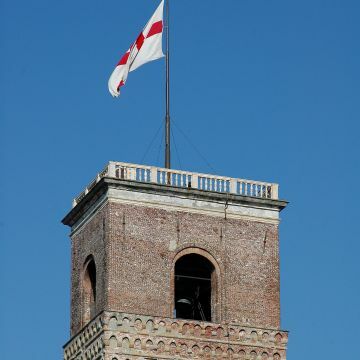 The building included the adjacent Tower Palace of Alberto Fieschi, which forms the original medieval core of the palace, that now you can visit as the “Torre del Popolo”, also called la Grimaldina. 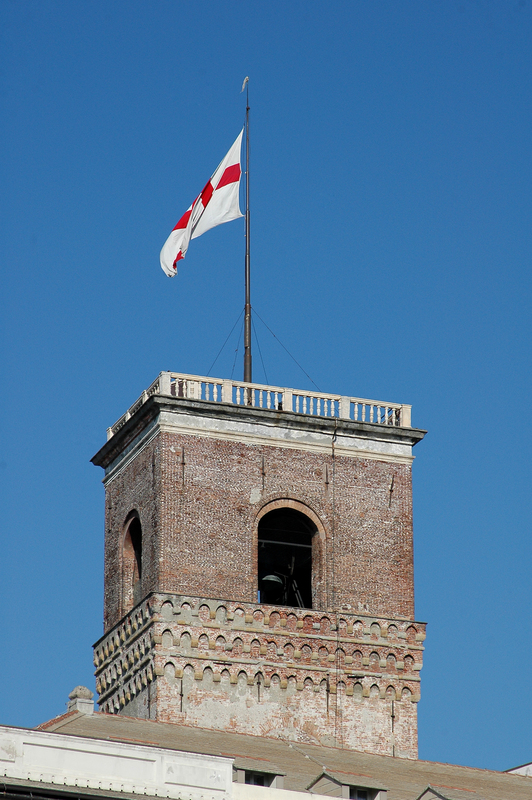 The Tower immediately became one of the symbols of political power of the Republic: the tolls of its bell underlined the most solemn and tragic moments of the city. Moreover, starting from the 14th century, the Tower became a dungeon for political prisoners, intellectuals, conspirators and anarchists until the Thirties of the 20th century: on the cells walls you can still clearly see the writings engraved by the prisoners, tracks of hope or claims of innocence, but also wall paintings with vessels, ships and hot-air balloons. 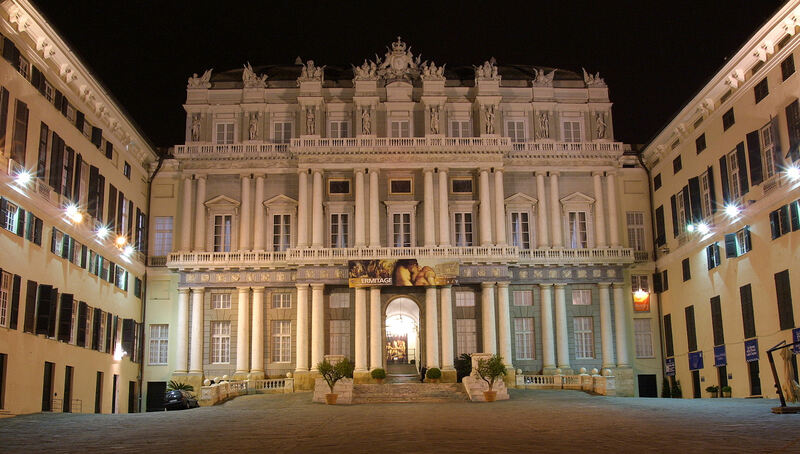 Later the palace was enlarged, between the 14th and the 15th century new buildings were added and Piazza Matteotti was completely enclosed in its walls, forming a real fortress. 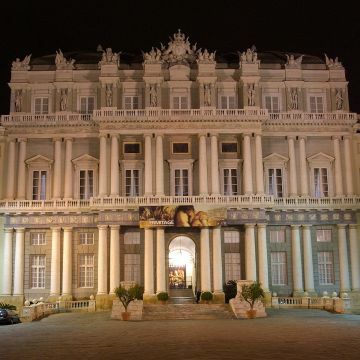 Only during the 16th century, it was decided to give a more modern shape to the palace. 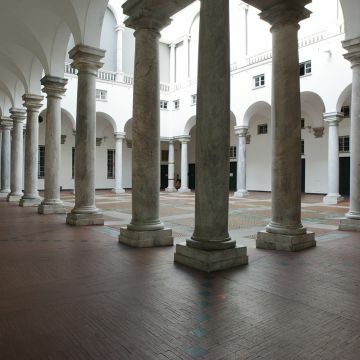 It was refurbished in Renaissance style, which was more adequate to the importance and to protocol of the new oligarchic Republic: in 159 Andrea Ceresola, called il Vannone, an architect from Canton Ticino, was entrusted with the task. 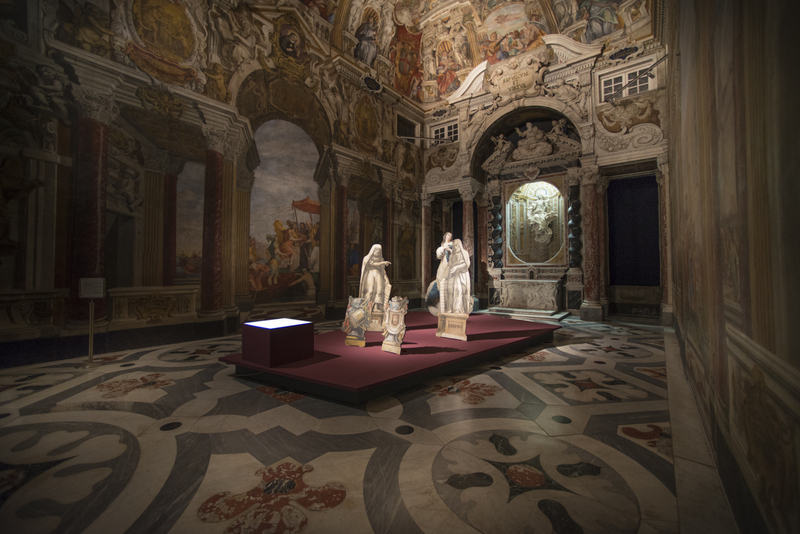 His intervention brought a new monumental implant of the palace, which is characterized by a grand entrance hall flaked by two porticoed courtyards, a large stairway that leads to two logge on the piano nobile, where you can find the Saloni di Rappresentanza and the Doge’s Apartments. 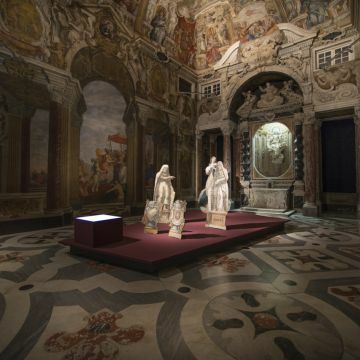 Here there is the famous Doge’s chapel, frescoed by Giovanni Battista Carlone in the 17th century to praise Genoese personalities such as Guglielmo Embriaco and Cristoforo Colombo. The commemorative frescoes are also located in the stairway. 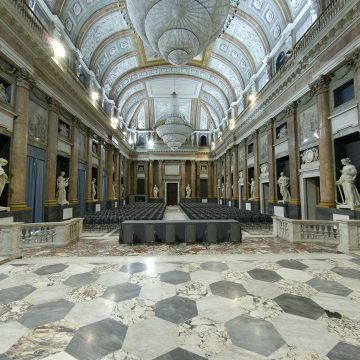 In 1777 a severe fire caused the building to be restored once again by a Swiss architect, Simone Cantoni, who redesigned the Saloni di Rappresentanza in Neoclassic style with gilded stucco and marbles, giving to the rooms a sumputous appearance. 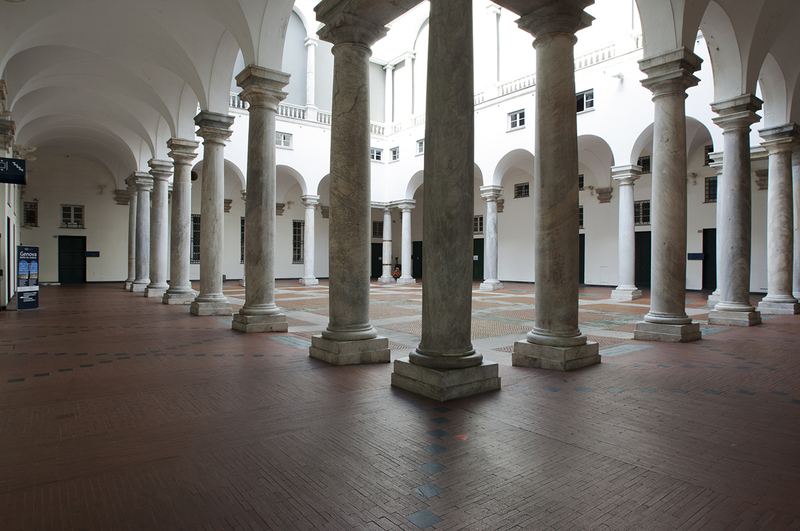 During the 19th and the 20th century other refurbishments took place, the palace got its ancient splendour back thanks to a complex restoration and was opened to the public in 1992: it was the largest restoration ever realized in Europe on a 300.000 square meters building. 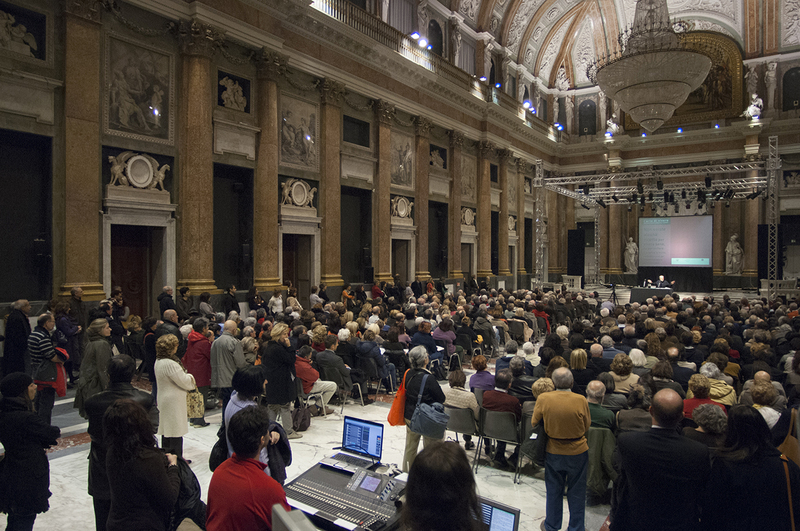 For more information on events, prices and opening hours, please visit Palazzo Ducale’s website.